Technology has changed the way we manage and operate businesses, it has allowed us to become more efficient and given us the ability to do more, faster and better. However, even though technology can be a tool to improve productivity, it can also create unnecessary headaches if it is not implemented correctly. One way to prevent these headaches is to choose the best type of tutoring software alternative for your business needs. Custom Software – Creating a software program for your business from scratch. Off-the-Shelf Software – Subscribing to a pre-built, web-based software program. A Combination of Software Programs – Using different online tools to manage your business. Most tutoring management software allows you to streamline business activities, reduce manual input and give you access to your data from any device. 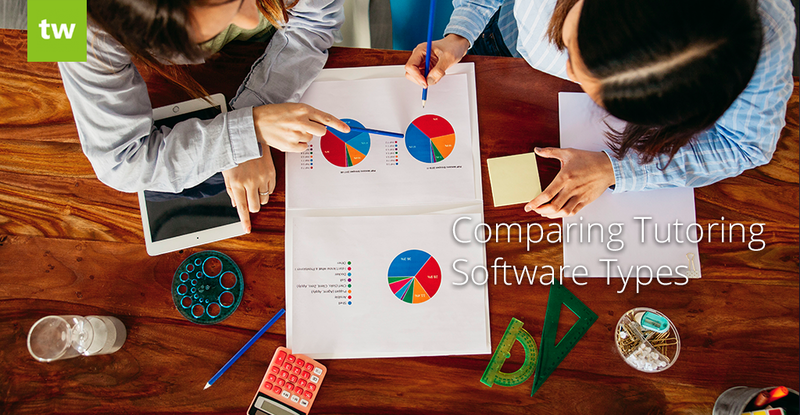 How do you choose the software that best suits your needs and your budget? Let’s explore each of the three software types available to educators. Custom software is designed to meet the specific needs and processes of an organization. This type of software allows you to create a program that does exactly what you need it to do. Each feature is designed from scratch, allowing you to develop the perfect software fit for your business needs. For example, large organizations usually have very specific processes, these processes often need to be repeated over a number of locations. This level of complexity and the uniqueness of each process makes custom software a good choice for larger organizations. To get started with custom software, you will need to find a developer, explain your vision and allow them to create the perfect software fit for your business. Developers also often offer packages that provide support, updates and ongoing software maintenance. Although this software alternative is a great option due to the potential for customization, creating software from scratch is very expensive and time-consuming which makes its use limited to large organizations that have enough financial resources. Is custom software for you? If your business needs are very unique and you have a healthy budget to work with, custom software is the right fit for your tutoring business. Usually, companies that have more than 20 locations would definitely benefit from a custom software alternative. Off-the-shelf software is a system that has been created to meet the needs of a large number of companies. This type of software is designed to automate and improve the processes in a way that is effective for most companies. For example, Quickbooks is an off-the-shelf software program, it has been created to meet the accounting needs of many companies, this allows companies from different industries to use one system to keep track of their records efficiently. For this example, the off-the-shelf approach gives small and medium size businesses the advantage of using the features included in Quickbooks – without having to develop accounting software from scratch. For tutoring businesses, off-the-shelf software such as Teachworks allows tutoring companies to scale their operation, appear more professional and handle all their information in one secure place from any device. Many off-the-shelf software programs will include options for customization, such as the ability to enable or disable integrations and add-ons and the ability to build your own customizations that integrate with an API (Application Programming Interface). These features can give you a competitive advantage as it offers your business customizable features at a fraction of the cost of custom software. Finding the right fit with off-the-shelf software may require some time, however, it is a very important decision to make and it is best to evaluate each option carefully. Most off-the-shelf software programs offer a free trial period, which you can use to assess the features and integrations included in the software before making a final decision. Is off-the-shelf software for you? If your business is small, medium or large and you do not require keen customization of processes, off-the-shelf software can offer your business the most value and customizable options to run your business efficiently. Another alternative for tutoring software is to use different platforms to keep track of your business activities. These platforms could be tools that have been created for common use, for example, you can use Google Calendar to keep track of your lesson schedules, Google Forms to create invoices, excel to keep track of customer data and other software such as PayPal to process customer payments. It is possible to run a profitable business using these programs and there are several options available. However, as your tutoring business grows, using these type of tools could get complicated very fast. These systems are not built to seamlessly share data between each platform (the way off-the-shelf or custom software would), this can increase the manual input of information therefore increasing the chance of clerical errors. Is a combination of software programs for you? If your business is just starting up and you do not have a budget to allocate to software needs, this would be the best option for your tutoring business. Finding the right balance between meeting your business needs and staying within your budget is one of the greatest challenges when choosing management software. Every business operation is different, yet there are similarities in the way businesses in the same industry run. Given this, off-the-shelf software offers the best value to companies who are in need of tutoring management software. Most of the off-the-shelf software alternatives available will have a wide variety of features that will help you manage your business efficiently and offer great value to your business.